Capable. Luxurious. High-Tech. The 2017 Jeep Grand Cherokee is the culmination of everything you’ve ever wanted in an SUV. It’s a good-looking vehicle with modern style and maximum comfort that’s off-road ready with leading-edge technology. There is no other SUV like this one at all, much less for the price. The Grand Cherokee offers just about every upscale feature and high-tech option you can think of, and it can still get out there and get dirty on the trails. 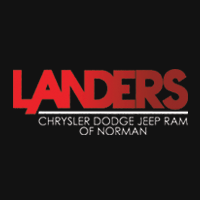 The best place to get behind the wheel of a 2017 Jeep Grand Cherokee is Landers Chrysler Dodge Jeep Ram in Norman, Oklahoma. With three different engine options, you have a choice of just how much power you want behind your Grand Cherokee. Options are the standard 3.6L Pentastar V6 engine with Stop/Start technology, the clean and efficient 3.0L EcoDiesel V6 engine, and the powerful 5.7L HEMI V8 engine with Fuel Saver Technology, which gets 360 horsepower and 390 pound-feet of torque. Grand Cherokee models that are equipped with the available Off-Road Adventure option have the Trail Rated badge, which means they have the ability to perform well under a variety of weather and road conditions with exceptional traction, ground clearance, maneuverability, articulation and water fording. The 2017 Jeep Grand Cherokee also offers three available 4×4 systems and up to 7,400 pounds of towing capability. You’ve never seen an SUV with this much inner beauty before. When you open the doors to the 2017 Jeep Grand Cherokee, you’ll be greeted by an absolutely stunning interior made with the highest-quality materials and garnished with thoughtful details. Depending on the trim, you can get everything from quilted seats to wood appliqués to an entirely leather-wrapped interior. Everything about the inside of the Grand Cherokee screams premium, so you can get as wild as you want on the off-road trails and remain comfy and pampered from the driver’s seat. When you have cargo to haul, you can configure the interior of the Grand Cherokee for the amount of space you need with folding seats and innovative storage solutions. Following the luxurious flow, the 2018 Jeep Grand Cherokee offers two available premium audio systems—a nine-speaker Alpine Surround Sound System and a Harman Kardon System with multichannel processing and 19 high-performance speakers. Talk about an experience. The UConnect and available UConnect Access systems deliver all your entertainment, navigation, and communication more easily than ever before. Features like Bluetooth Streaming Audio, Voice Commands and fingertip access to all your favorite apps help keep you as comfortable and connected as possible. The customizable Driver Information Digital Cluster is conveniently placed on your dash with a full-color display that gives you information about the music you’re listening to, how fast you’re going, what the road conditions are, and more. Whatever you need, you can reach it in the comfort of your Jeep Grand Cherokee. Are you in love with the 2017 Jeep Grand Cherokee yet? If not, that just might change when you come in and take one for a test drive. In the meantime, you can browse our inventory online! Browse our online inventory of Jeep Grand Cherokees.